Today I’m sharing a round up of budget-friendly farmhouse pitchers! I love the look of an elegant white pitcher hanging out on a nightstand, kitchen table, or credenza. 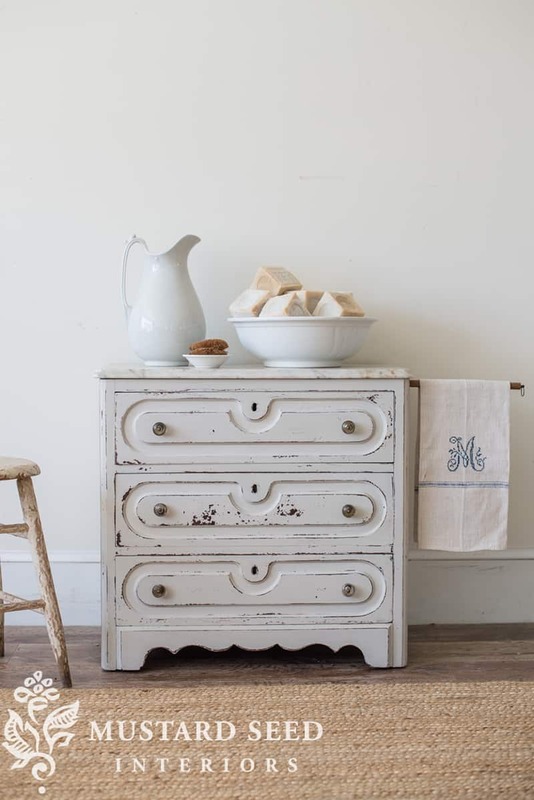 A pitcher instantly adds farmhouse charm to any space. Scroll to the end of this post for all the links to these beauties! Here is a lovely example from Miss Mustard Seed. This antique pitcher is empty, but even on its own, it’s so pretty on this washstand. I use my pitcher all the time, regardless of whether it’s filled with faux flowers or fresh. 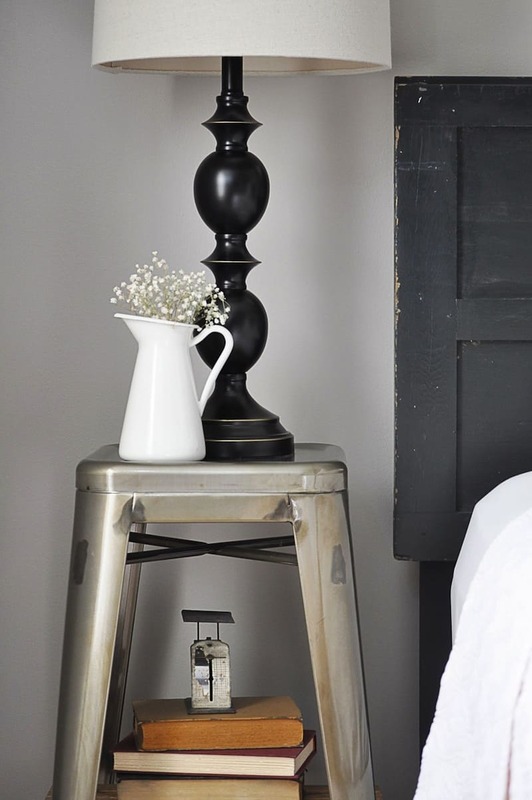 I also love this simple nightstand decor from Ashley at Little Glass Jar. This Ikea pitcher is just $14.99! 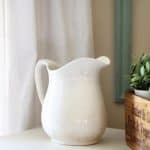 A farmhouse pitcher is an easy way to add some character to your home without busting the budget. 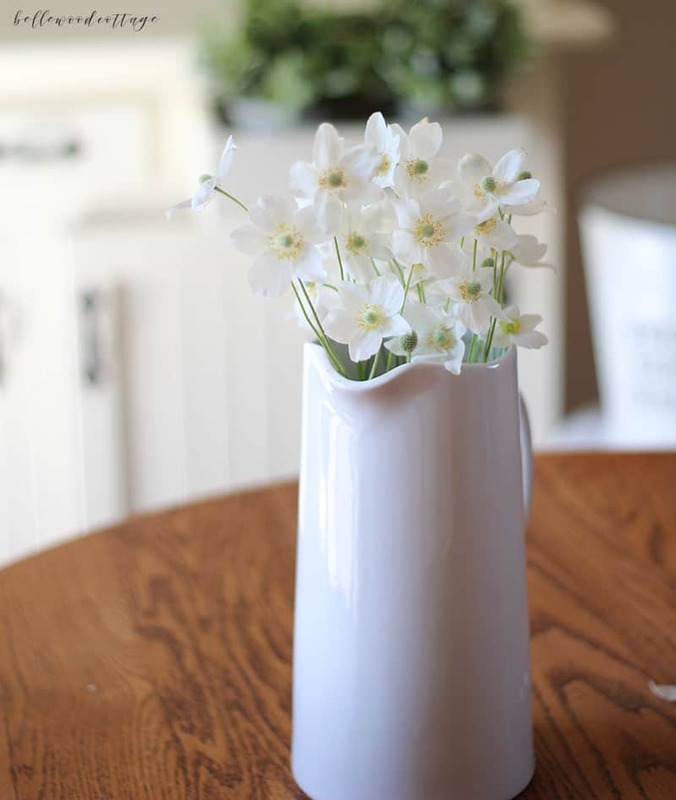 The classic lines and neutral color of a white pitcher make it the perfect vessel to fill with fresh flowers, use as a water carafe, or simply display as a decor piece all on its own. Personally, my ideal would be to have several antique ironstone pitchers around the house, but these can be difficult to find and expensive to purchase. 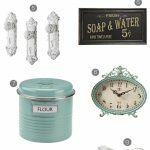 So instead, I curated a list of budget-friendly options that can be easily bought brand new. We all have a different budget, so to make things easy, I organized my list starting with prices low to high. Honestly, one of my favorite pitchers on this list is the curved pitcher from Target (item #1), the least expensive option of the whole list! I also love the other Target option (item #2), which I received this year for my birthday (love!). I could just picture Anne Shirley picking wildflowers and using them to fill pitchers just like these. Please note: The list below contains some affiliate links which allow me to earn a small commission when they are used. Read my full disclosure here. Prices listed were accurate at the time of this post. 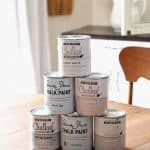 What Is So Great About Chalk Paint?